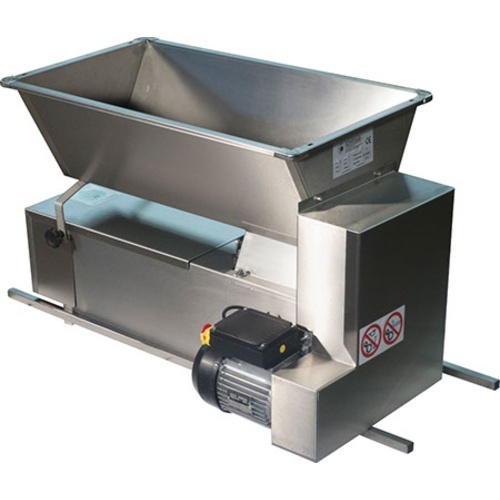 Our #1 selling crusher/destemmer style, this motorized unit with a stainless screw feed also features a stainless steel Body and Bin making it a completely stainless steel model. Grapes are loaded into the top bin where the powered screw feed continually pushes grapes towards the rollers. Grapes are gently crushed by the rubber rollers and then fall into the destemming chamber. The destemming chamber features a removable basket with a bunch of circular holes in it and rotating destemming shaft. Grapes fall through the holes into your bucket. Stems get rotated through the basket by the destemming shaft until they exit at the end of the machine where they fall onto the ground or an awaiting bucket. This model features soft rubber rollers which are softer on stems possibly reducing rough tannins in your wine. The rollers are spring loaded and self adjusting to protect against damage, such as the accidental passing of a small stone. 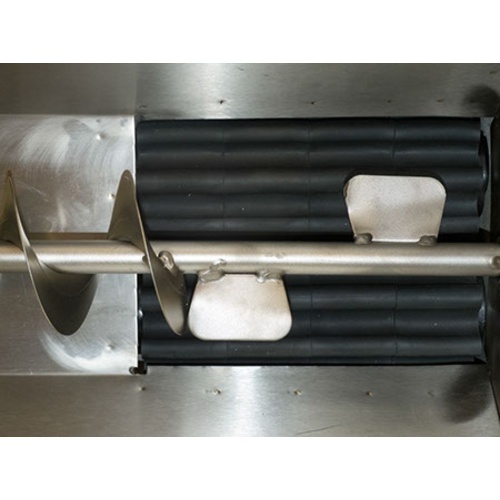 Powered by a 1hp motor that provides an hourly production of approximately of up to 3000 lbs. Note that these machines must be fed with consistency to reach maximum throughput. Overload the machine with too many grapes at one time and the motor will pause and actually slow down production. 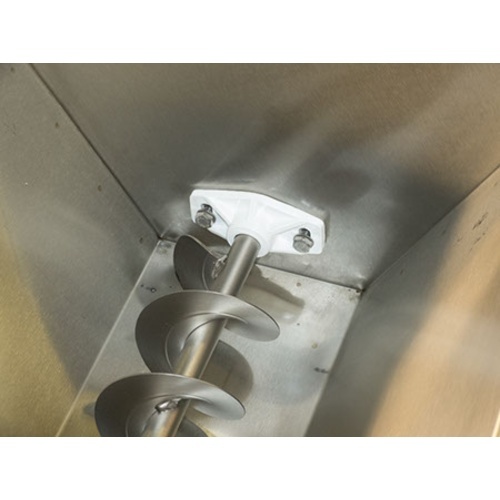 Remove two quick bolts and the safety cover slides off and the internal stainless destemming grate slides out for easy cleaning. The hose out the rest of the unit. Comes with directions. 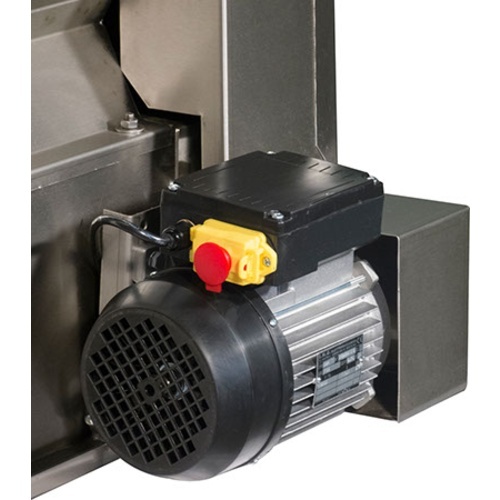 5) A powerful 110V 1HP motor which provides an hourly production of approximately 3000 lbs. Overall dimensions: 47" long x 19.6" wide x 25" high. Weight: 118 pounds (54KG.) Figure 158 lbs for shipping weight with pallet.